LMN Tree: TPT is Having a Sale! Did you hear the great news? 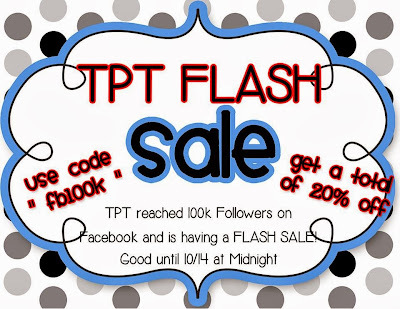 TPT reached over 100K followers on FB and is offering 10% all your purchases through 10/14 at midnight Hawaiian time. Make sure you use the PROMO CODE at checkout: FB100K I have put my entire store on sale to celebrate with them. Hope you find some great deals today! Just click on the image above to check out my sale!